John le Carré's classic novel was first adapted in 1979 for the critically acclaimed TV drama starring Alec Guinness and found critical and popular acclaim again in 2011 with this film which featured the cream of British acting talent including Gary Oldman, Colin Firth, Tom Hardy, Benedict Cumberbatch and the recently sadly deceased John Hurt. 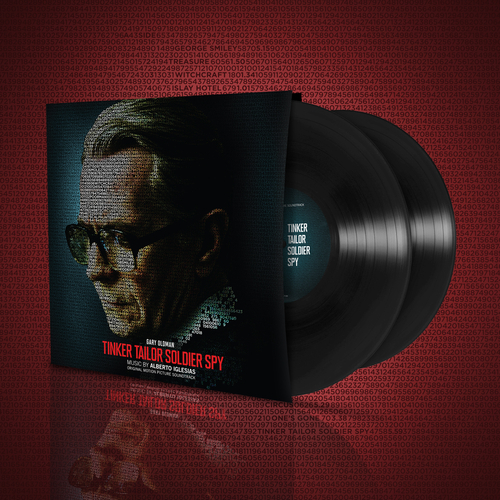 Alberto Iglesias produced a suitably dark and jazzy soundtrack to director Tomas Alfredson's ("Let the Right One In") sinister adaptation of this tale of Cold War espionage, which won the BAFTA for Best British Film as well as a clutch of Academy Award nominations. Also nominated for an Academy Award for his work in the film “The Constant Gardener” (2005) and again for his work in “The Kite Runner” (2007), Spanish composer Alberto Iglesias is perhaps best known for his work with flamboyant director Pedro Almodovar (The Flower Of My Secret, Live Flesh, All About My Mother).